The anonymous author might not have been gifted in thinking up short, snappy titles, but there’s no doubt about what this volume published in New York contained. I was particularly taken by a short account of an exploit in the early years of a cabin boy who galvanised a ship’s crew to withstand attack by a French privateer – a story that sounds too good to be true. A little further digging did indicate however that the case was a true one and that the boy in question was to ascend to dizzy heights in his later life. I’ll quote extensively (in italics) from the account in the book as its period-style gives it a charm of its own. 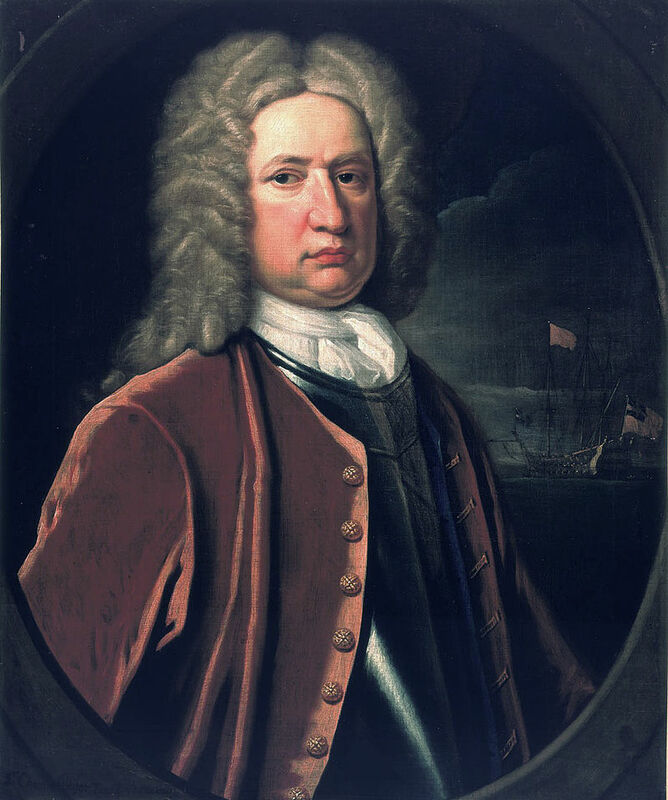 Though the father and grandfather of Charles Wager (1666-1743) had seen service at sea under both Cromwell and Charles II, he lacked the patronage that would have allowed him easy entry to the Royal Navy. His mother had married a Quaker merchant in London after his father’s death – this being a time when Quakers were a new and often suspect sect. Through his step-father however, Wager gained an apprenticeship with a Quaker from Barnstable, Massachusetts, a merchant ship’s captain called John Hull who sailed regularly between Britain and the Americas. The key event of Wager’s early career, as told below, must have happened before 1689, the first year in which he appears in the Royal Navy’s records. 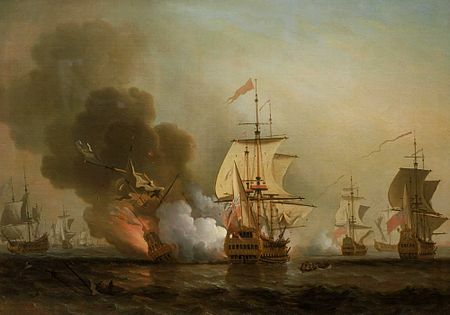 The Battle off Cartagena, 28 May 1708 known as “Wager’s Action”, in which he became a rich man through prize money. The cabin boy had come a very long way.